For many women, finding effective hair care products is an ongoing struggle. After all, how do you find one brand that fits every unique hair care need from one day to the next? Whether you’re buying shampoo and conditioner sets from the drugstore or the salon, it’s not uncommon to purchase multiple products to handle a variety of hair and scalp-related challenges. Even the best hair care products may not be equipped to tackle unique combinations of issues like dryness, oiliness, color protection, curl definition, anti-frizz, and hydration. This is where Function of Beauty comes in, offering sets of natural shampoo and conditioner that are fully customizable to your unique—and numerous—hair care needs. If you aren’t familiar with custom shampoo and conditioner from Function of Beauty yet, we’ll give a quick overview of how creating personalized shampoo and conditioner works. We’ll also dive into Function of Beauty reviews to see if custom shampoo and conditioner really do make the best hair care products. Are you tired with your old haircare routine? Are you curious about whether personalized shampoo and conditioner could make a difference in the quality of your hair? If so, read on—you may find that Function of Beauty’s custom shampoo and conditioner are the best hair care products for you to consider purchasing. Function of Beauty Review | What is Function of Beauty? Founded in 2015, Function of Beauty is a Connecticut-based startup that allows customers to build personalized shampoo and conditioner based on their unique hair care goals and needs. Individual shoppers determine every element of their customized shampoo and conditioner, including everything from the ingredients to the scent. With the help of chemists, developers, and engineers, Function of Beauty shampoo and conditioner is not only fully customizable, but also backed by strong scientific research. Their proprietary algorithms are designed to translate hair care goals into personal success through their unique, personalized shampoo and conditioner. For shoppers that want a more organic solution to hair care, custom shampoo and personalized conditioner from FoB is a great choice for natural shampoo and conditioner. Function of Beauty shampoo and conditioner is starting to take off—with $9.5 million in funding this year, the brand plans on opening a flagship store in NYC and expanding internationally. Function of Beauty Review | How Can You Create Custom Shampoo & Personalized Conditioner? New shoppers will be happy to discover that Function of Beauty offers up to 12 billion unique combinations of customized shampoo and conditioner combinations. Each goal will directly influence the ingredients within each personalized shampoo and conditioner set, as seen in the image below. The ability to choose specific functions for customized shampoo and conditioner is an incredibly valuable element of the brand—as many Function of Beauty reviews point out, purchasing hair care products from the store often means sacrificing one goal for another. Rather than make shoppers choose between goals like strengthening or color protection, Function of Beauty shampoo and conditioner lets users create a holistic solution to multiple hair care issues. Not only does this increase the appeal towards Function of Beauty shampoo and conditioner, but it also marks the brand as having some of the best hair care products for users that need custom shampoo and custom conditioner to accomplish multiple tasks. Function of Beauty shampoo and conditioner can also be customized through color, too. 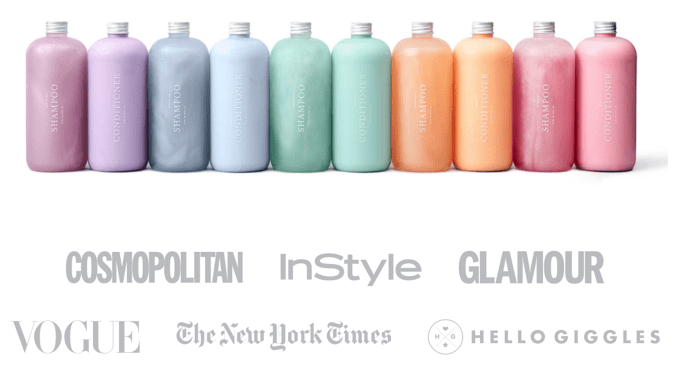 The quiz allows shoppers to choose between blue, pink, orange, green, purple, or dye-free custom shampoo and conditioner. Available fragrances include essential oils, cucumber mint, grapefruit hibiscus, or sandalwood violet, and can also be customized according to scent strength. Perhaps one of the most unique characteristics of ordering custom shampoo and conditioner comes from having your name printed directly on the bottle. 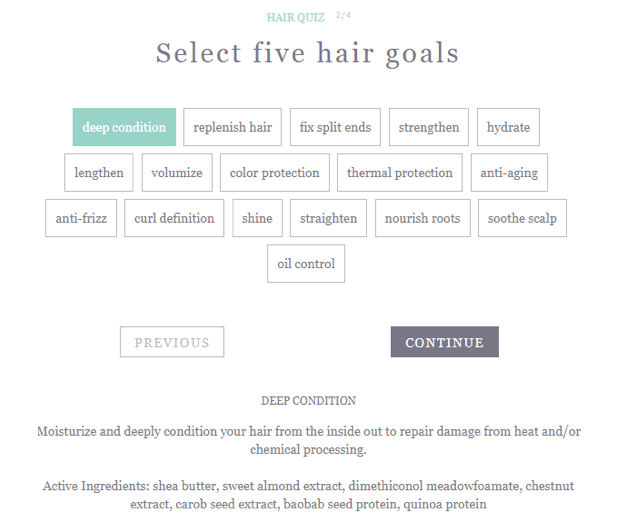 Our Function of Beauty review found that the quiz allows users to enter in their name or nickname to create a truly customized formula for their personalized shampoo and conditioner. You can choose a one-time purchase of custom shampoo and conditioner, or you can choose to sign up for delivery every 1-3 months. 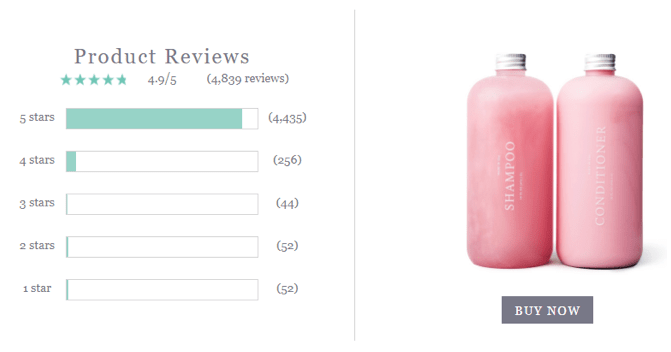 Despite being a relatively new company, Function of Beauty has plenty of customer reviews for their custom shampoo and conditioner directly on their website. Function of Beauty reviews on the website can be sorted by hair type and hair goals to make it easier for new users to determine whether ordering custom shampoo and conditioner is worth it for their specific needs. Every review submitted on this page is from a real Function of Beauty customer who has purchased a set. In the interest of transparency, we never change reviews or use incentives to influence these reviews. With nearly 5,000 Function of Beauty reviews, their personalized shampoo and conditioner sets have an overall rating of 4.9 out of 5. Over 4,400 Function of Beauty reviewers have rated their experience with a full five stars, creating an overwhelming majority of positive Function of Beauty reviews. Each Function of Beauty reviewer provides their hair type, specific hair care goals, and chosen scent alongside their review, providing individual context for potential shoppers. Many Function of Beauty reviewers applaud the ability to use their custom shampoo and conditioner to fulfill multiple hair care goals. I have been looking for a shampoo and conditioner that gives my hair volume AND keeps my hair from looking oily by the end of the day. 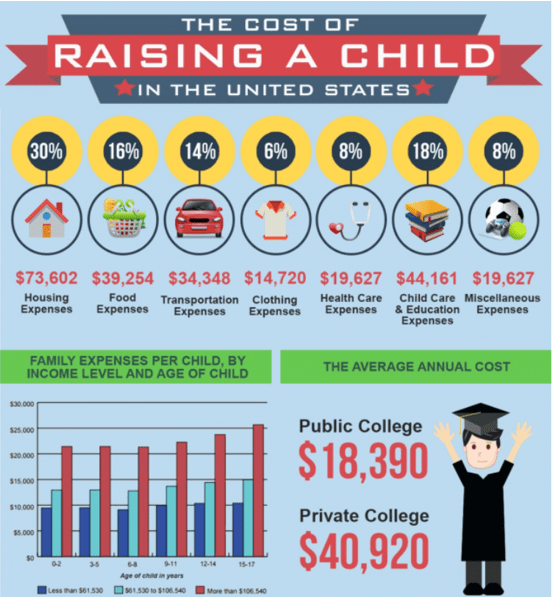 This does exactly that, and I couldn't be happier! Definitely will order more once I run out! Another common theme among Function of Beauty reviews is the use of all-natural ingredients. For those that prefer natural shampoo and conditioner, FoB is becoming a new go-to brand for the best hair care products. LOVE my new Function of Beauty duo! My hair feels and smells FANTASTIC! So much fun to customize and actually name my shampoo and condition[er]. Already looking forward to ordering my next set and trying something new. Based on positive Function of Beauty reviews, it seems that the process of matching hair care goals to specific ingredients is working, as users repeatedly applaud their personalized shampoo and conditioner for effectively accomplishing a variety of tasks. Critical Function of Beauty reviews are few and far between on the FoB website, with just over 3 percent of users rating their experience with three stars or less. In total, 52 Function of Beauty reviewers rated their experience with one star, the lowest possible rating. Despite the low percentage of criticism for custom shampoo and conditioner sets, negative Function of Beauty reviews highlight significant issues. Our Function of Beauty review found that reviewers reporting hair loss or thinning hair is a common complaint among negative Function of Beauty reviews, which certainly raises serious concerns. The main reason I bought function of beauty was to nourish my hair in order for it to grow longer. But it did the exact opposite. After a few weeks of using it, my hair began to fall out. Every time I brush my hair or even run my fingers through it, small clumps come out. I know it's natural for hair to fall out every day, but this is much more than has ever happened to me. It's also caused me to thin at my roots. It may be just my hair type, but I would not recommend this to anyone and will be switching to my regular routine immediately. My hair started falling out, and since using the shampoo and conditioner approximately 1/3rd of my hair has fallen out. I am so devastated I do not know what to do. All the company did was refund my money, what about my hair?!?! The product left my hair very dry and frizzy and does nothing for curl definition. The conditioner is very watery and you have to use a ton to get any smoothing results. For the size and price I'm not wasting my money anymore. Back to the drugstore! Although the number of users reporting hair loss is minute compared to positive Function of Beauty reviews, these complaints are certainly something that should be considered before using personalized shampoo and conditioner. Our Function of Beauty review found that many of these complaints came from users reporting issues with an oily scalp. 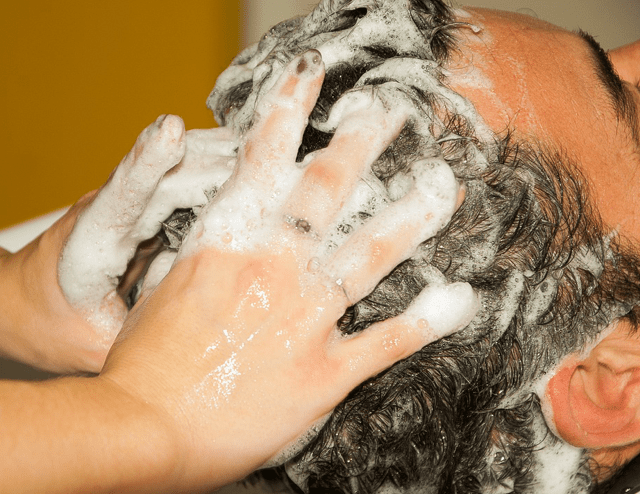 This commonality may be an indicator that shoppers looking to tackle oil issues should either avoid custom shampoo and conditioner, or obtain extra guidance before ordering from FoB. Conclusion: Is Custom Shampoo & Conditioner Worth It? For women struggling with lingering hair care issues, custom shampoo and conditioner from Function of Beauty could provide the perfect solution. Not only does FoB provide natural shampoo and conditioner products, but their unique business model allows shoppers to pick and choose what is most important to them, creating the best hair care products for their personal needs. Could personalized shampoo and custom conditioner be the best additions to your hair care regimen? According to thousands of satisfied Function of Beauty reviewers, custom shampoo and conditioner is certainly worth a shot! For those who are worried about negative Function of Beauty reviews, it’s not a bad idea to contact customer service—or your hairdresser—for additional guidance before ordering personalized shampoo and conditioner. Ultimately, with free refunds within the first 30 days and a simple step-by-step process, FoB makes it easy to try out custom shampoo and conditioner as a natural, unique, and expert solution to lingering hair care issues.